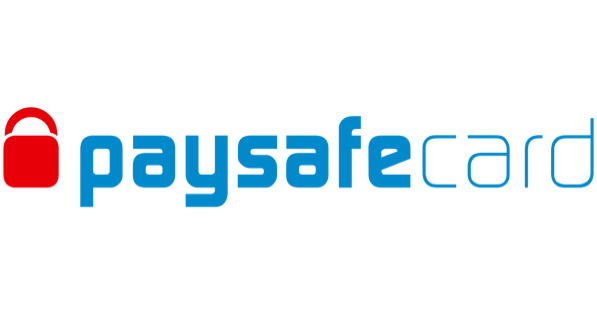 Paysafecard is a popular prepaid payment method that uses unique and anonymous PIN numbers to authorise secure deposits at UK casinos and slot sites. Choose from our hand-picked list of the best Paysafecard casinos below. All aboard Casino Cruise, the online casino that lets you travel in style. Sign up today and claim a huge reload bonus of up to £1,000 on your first four deposits, plus 200 free spins on NetEnt’s popular slot – Starburst. Choose from over 1,300 casino games from top providers including NetEnt, Evolution Gaming and Microgaming. Terms & Conditions: New players Only. £10 minimum deposit. 40 x wagering applies. Bonus valid for 14 days. Minimum £5 wager required to activate 200 Free Spins. 20 Free Spins will be credited per day for 10 days after qualifying deposit/wager is met. Free Spins valid for 24 hours from credit. Further T&Cs apply. Bet365 are offering new players a 100% match bonus up to £100 to play on over 50 popular casino games including its exclusive Age of the Gods series as well as plenty of table game favourites. Sign up today to claim your welcome offer and join one of the UK’s top online casino. Terms & Conditions: Deposit min. £10. Applies to first deposit to Casino only. Max. bonus £100. 15x wagering (game weighting applies) on deposit and bonus to make the bonus balance withdrawable. Time limits and T&Cs apply. Mainly known for its sports offerings, Coral Casino is certainly not an afterthought. You can choose from exclusive slot games like Big Banker Slot and huge progressive jackpots like Slots of Gold Megaways. Join and deposit £10 today and you’ll be treated to £50 in casino bonuses. Terms & Conditions: 18+. Bonus must be accepted with 48 hours, has 40 x wagering reqs (certain games only) and is valid for 30 days. Paypal and certain deposit methods excluded. Bets covering >70% of Roulette table don't count to wagering. T&Cs apply. Get 100 free spins on Book of Dead and up to £200 bonus cash when you make your first three deposits at Karamba. Sign up and get access to hundreds of popular casino and slot games from over 30 top providers including Lightning Box, Pragmatic Play and Quickspin. Terms & Conditions: 18+, Welcome Bonus: New Players only. Min Deposit: £10. Max bonus £200. 100 spins require 3 deposits. WR 35x, spins valid for 24hrs, on selected games. Full T&Cs apply. Sign up to bgo Casino today and you’ll be treated to 10 no deposit free spins with zero wagering requirements. Go on to deposit and you’ll get a 100% casino bonus up to £200 to play on 30 eligible slot games including Ted, Tiki Paradise, Fluffy Favourites and Stampede. Terms & Conditions: 18+. New customers only. 10 Free Spins on registration and mobile verification. 100% deposit match up to £200. Available on selected Games only. 7-day expiry on Bonus. 40x wagering (max bet £5) before Bonus Balance can be withdrawn. Not available using Neteller or Skrill. Cash balance withdrawable anytime + £2.50 fee. Full T&Cs apply. Supercharge your bonus with up to £500 bonus cash and 50 free spins at Slotty Vegas. Sign up to play all your favourite casino games like Starburst, Danger High Voltage and Chilli Heat. You can also find a great selection of classic live dealer games including roulette, baccarat and poker. Terms & Conditions: Games pay more on the basis that an extra amount is credited to every winning round. x40 wagering requirement applies. Read full T&Cs. Fans of Playtech’s exclusive Age of the Gods slot series will be pleased with Casino.com’s generous welcome package. Just sign up to receive 20 free spins, no deposit required, to use on any Age of the Gods game. Plus, make your first deposit and get another 180 free spins plus up to £100 bonus cash. Terms & Conditions: New customers. Spins: 20 on registration, 180 after deposit; winnings given as bonus funds; 20x wagering. Spins and bonus wagering on Age of the Gods games only. Welcome bonus: £20 min. deposit, max. bonus £100; 40x wagering. Game weighting applies. Betting limits: slots - £5 all other games - 10% of bonus amount. Further T&Cs apply. Join Genesis Casino to get a 100% cash bonus, plus 300 free spins on Starburst. Every Monday, players are treated to free spins if they’ve deposited just £10 over the weekend. Genesis Casino has plenty of games to satisfy the pickiest casino player including huge progressive jackpot – Mega Moolah! Sign up to Videoslots and be treated to up to £200 match bonus, plus £10 extra cash when you make your first deposit. You won’t run out of things to do as you’ll find over 3,500 casino games by more than 100 providers including Playtech, Thunderkick, NetEnt, Evolution Gaming, Blueprint Gaming, Quickspin and IGT. Terms & Conditions: 100% deposit bonus up to £200 on your first deposit. Wager 20x within 7 days to cash-out any winnings. Jackpot games do not contribute to the bonus conversion. Your bonus money will be paid out in 10% increments. The bonus expires upon withdrawal if the qualification requirement is not reached. Additional terms apply. Join All British Casino today and be treated to a 100% match bonus up to £100. Plus, all players get 10% lifetime daily cashback – no wagering required. You’ll always find the latest casino games including a wide variety of live casino games from Evolution Gaming’s high-quality studio. Terms & Conditions: Welcome bonus for new players only. Maximum bonus is 100% up to £100. Min deposit is £20. No max cash out. Wagering is 35x bonus. Maximum bet while playing with a bonus is £5. Eligibility is restricted for suspected abuse. Cashback is cash with no restrictions. You can buy a Paysafecard PIN online or in store without any additional fees added on top. However, if you haven’t spent the entire voucher amount within 12 months, a £5 maintenance fee is deducted from your remaining balance from the 13th month onwards. Any payments involving a currency conversion incur a transaction fee of between two and four per cent. 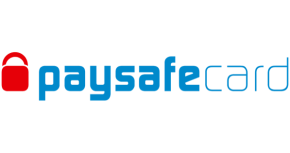 You can securely upload all of your vouchers to your free My Paysafecard account and view your remaining funds. There is also a section on the Paysafecard website that allows non-registered users to view their balance by entering their 16-digit pin. Which online casinos accept Paysafecard? Most UK casinos and slot sites support Paysafecard payments, including those running on Dragonfish, Nektan, Playtech, Microgaming, Progress Play, Aspire Global and selected proprietary platforms. Although it’s possible to buy Paysafecard in the USA, you can’t currently use them to deposit at online casinos. Can I refund my voucher? If you’d like to refund your Paysafecard voucher to your bank account by completing an online refund request available on its official website. You’ll be asked to provide your bank details and a copy of your PIN(s) and potentially some identity documents. After you’ve requested a refund, it can take up to 11 working days to be processed and you’ll receive an email once it’s been confirmed. Bear in mind that a £6 processing fee is taken from your remaining balance, so if you have less than this on your card you won’t be able to refund it. Should I play at a Paysafecard casino? Paysafecard is a prepaid cash voucher used to pay for online services including dating apps, social media games and online gambling. Each voucher has a unique 16-digit PIN that’s used to process payments, similar to entering your account details when paying with PayPal. Paysafecard vouchers are available to purchase in five currencies: pound sterling, euros, US dollars, Swiss francs and Swedish krona. You can buy vouchers in the UK at selected retailers including ASDA, WHSmith and Poundland or at its official online PIN shop. Paysafecard’s parent company, Paysafe Group, also owns other payment methods, Neteller and Skrill (formerly Moneybookers). Your Paysafecard PIN isn’t associated with your personal information or financial details, therefore you can deposit without sharing any sensitive information. You can use Paysafecard as another method of maintaining a gambling budget. You can’t spend more than the balance on your voucher unless you buy a new one, making it a useful money management tool. We mentioned some of the fees attached to using a Paysafecard, however unlike some of its competitors (Neteller and Skrill), it’s 100% free for fees and you aren’t usually charged any additional deposit fees by casino or slot site operators. Paysafecard PINs can only be purchased in predefined amounts, which varies by currency. In the UK, there are £10, £25, £50, £75 or £100, which may exclude players who want to spend an amount not listed. To get around this, you can buy multiple vouchers of different denominations. Many players will like the fraud protection and privacy that Paysafecard provides, but you’ll need to add another payment method if you want to withdraw funds from your casino account. It’s not possible to withdraw directly to a Paysafecard voucher so some players may prefer to use an alternative eWallet that supports deposits and withdrawals such as PayPal and Skrill. Go to the cashier of your favourite Paysafecard casino. Select Paysafecard and enter your deposit amount. Click to deposit and you’ll be taken to the secure payment screen. Enter your 16-digit voucher number, confirm you’ve read and agreed to the T&Cs and click ‘Pay’. Your funds should be available in your casino balance immediately. Paysafecard is a reliable deposit method, available at hundreds of UK casinos. It’s a great option for players who want to manage their casino or slots budget and keep their personal information private. However, it doesn’t quite compete with eWallet alternatives due to its lack of withdrawal capabilities.